It was a beautiful crisp fall morning for a 10 Km trail run or 7.5 Km walk through the Terwillegar ravine on Saturday, September 29th. The run/walk, hosted by the Terwillegar Trail Run/Walk and the Alberta Cancer Foundation, is in its 7th year. Its goal is to bring families and friends together to enjoy the outdoors and ultimately raise funds for prostate cancer research. John Lewis’ research group was out in force; represented by John Lewis, Catalina Vasquez, Arun Raturi, Perrin Beatty and Abbie Coros. 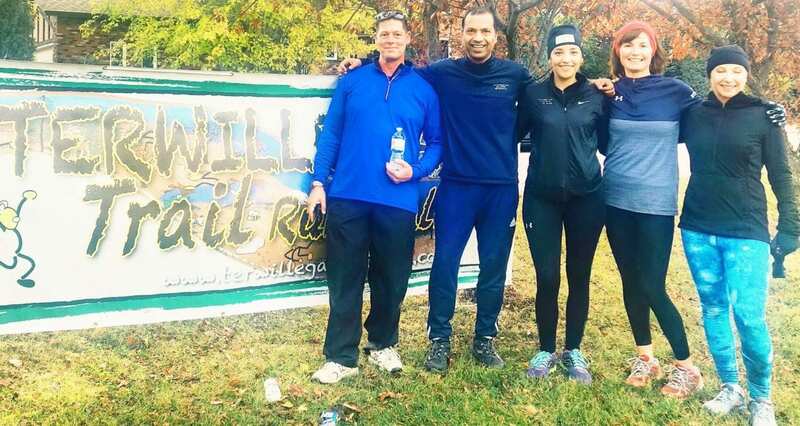 Despite the fact that, as one of the run/walk organizers Doug Mitchell pointed out to the participants, John ran in 15-year-old tennis shoes, the Lewis group runners ran well and had a great time! 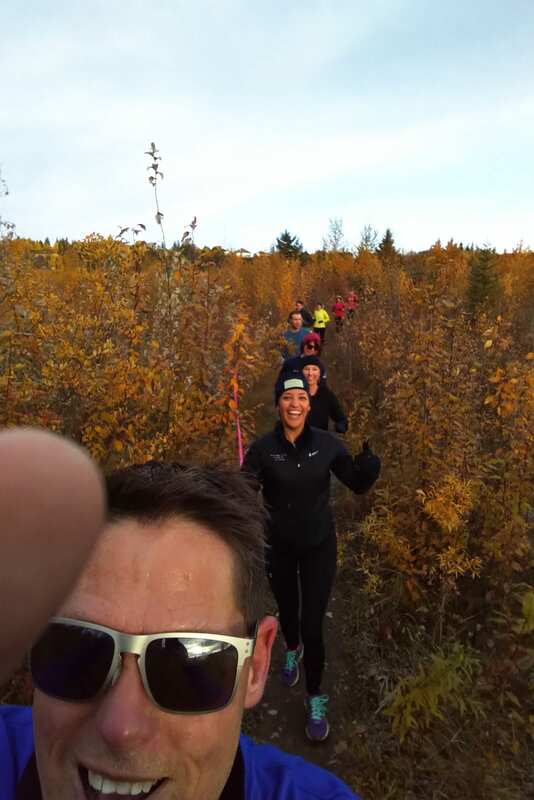 Funds raised by the Terwillegar Trail Run and Walk go to support cancer research in Alberta. Check out the Alberta Cancer Foundations’ “Dollars at Work” to read about how these funds have been used to support the research from APCaRI members Dr. Frank Wuest and Dr. John Lewis’ labs! With just over 100 participants this year the 2018 Terwillegar Trail Run/Walk raised over $21 000 for prostate cancer research! You can still donate to this awesome fundraiser, just go to Alberta Cancer Foundation TTRW and click on the Donate Now button!